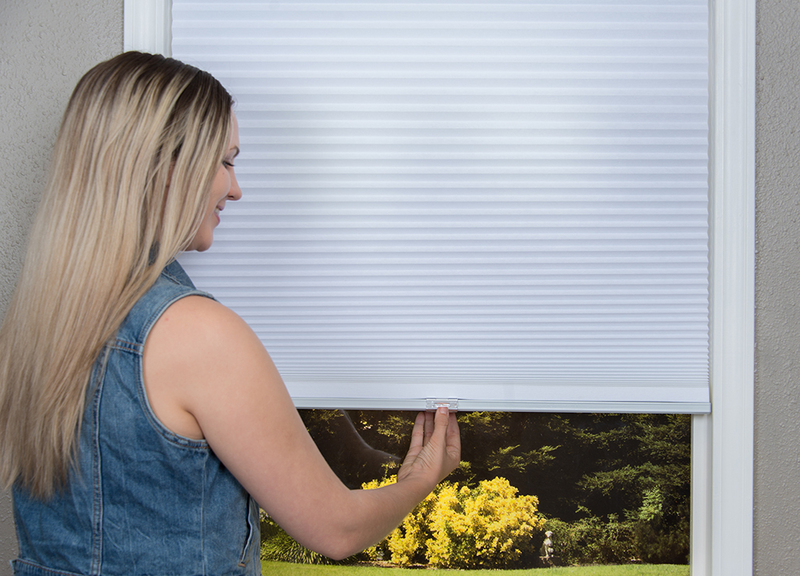 Get the look you want without the work with Redi Shade’s Artisan No Tools Light Filtering Cellular Shades featuring Simple Fit installation. 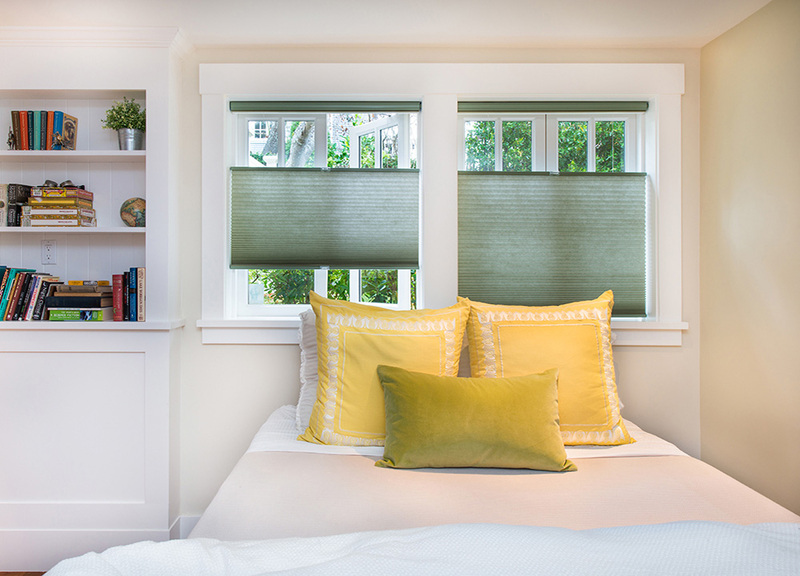 These custom shades install in seconds with the push of a button — no tools needed. 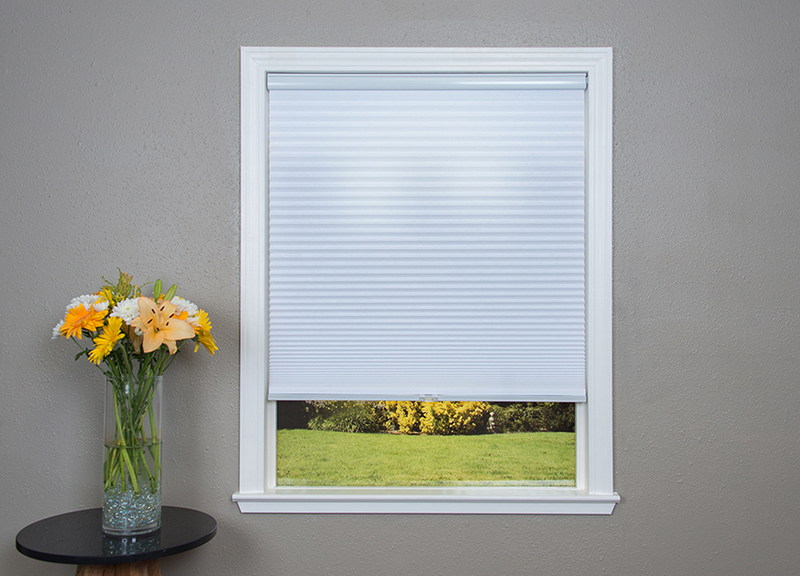 The Simple Fit compression system expands to lock the shade in place, keeping it mounted securely without drills, brackets or hardware; Command Strips from 3M included. Install your shade in seconds with the push of a button — no tools needed. 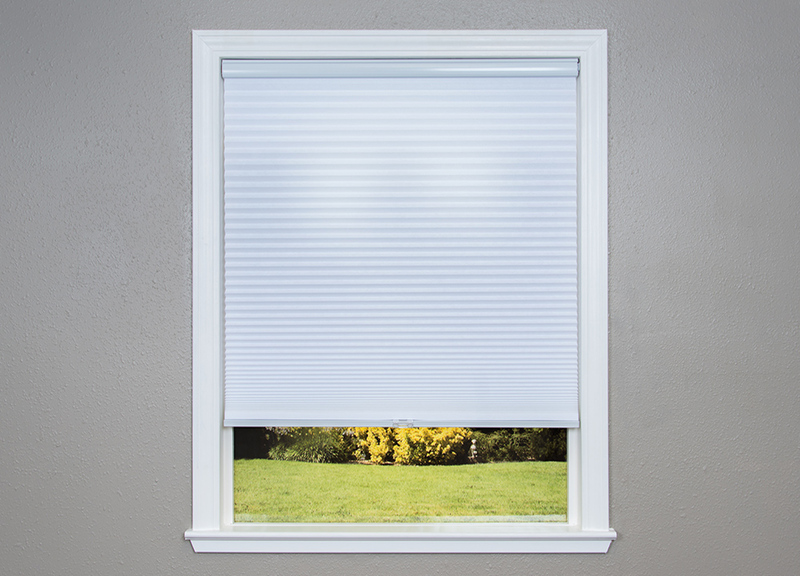 The Simple Fit installation system locks the shade in place, keeping it mounted securely without the need for a drill, screws, or brackets; Command Strips from 3M included. Damage free removal is just as easy thanks to the Simple Fit system. 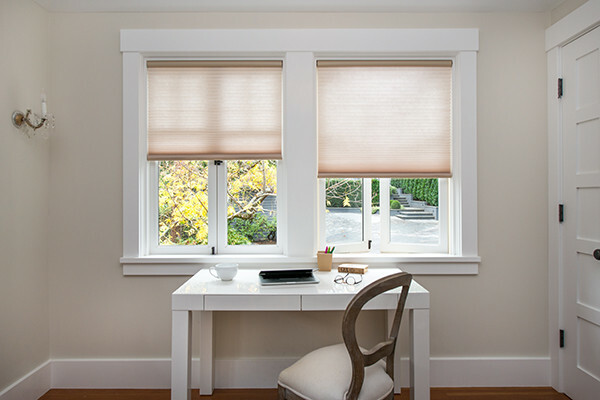 Artisan Custom shades are always cordless for easy operation and clean appearance – safe for children and pets. These shades raise and lower with the bottom rail. GLARE REDUCING Enjoy plenty of natural light while cutting glare on walls and floors. Ideal for social spaces like living rooms, dining rooms, and kitchens. 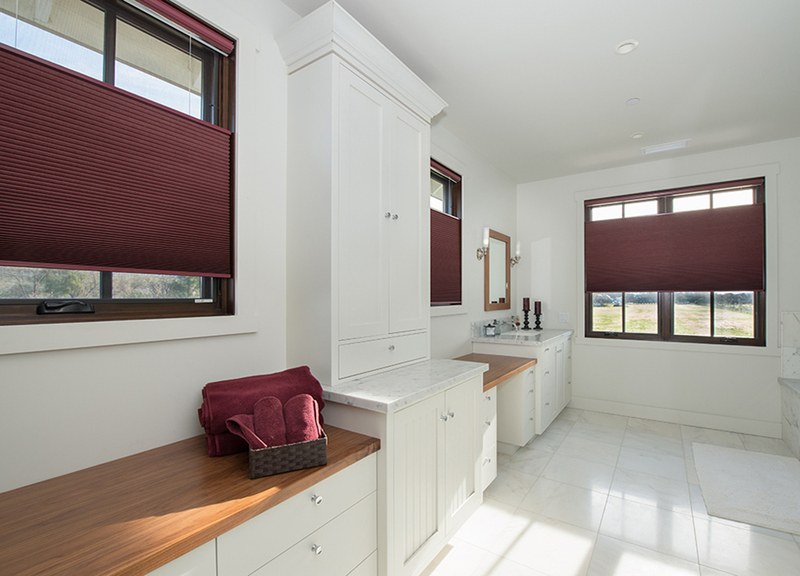 Glare reducing Artisan Custom shades offer great light, but minimal privacy. A beautifully finished sheer fabric that brings modern grace to any room. The perfect accent to a bold wall color, our sheer fabric will gently filter light for dramatic effect. Create a bold statement for your windows with luxurious depth of color combined with a crisp visual texture. Perfect for rooms that require gently filtered light and eye-catching style. Slightly heavier stock, with a softly textured surface to provide a sophisticated look. Moderate light control and privacy for rooms that call for a more formal flair. Softly filter light while maintaining privacy at cost-effective price. 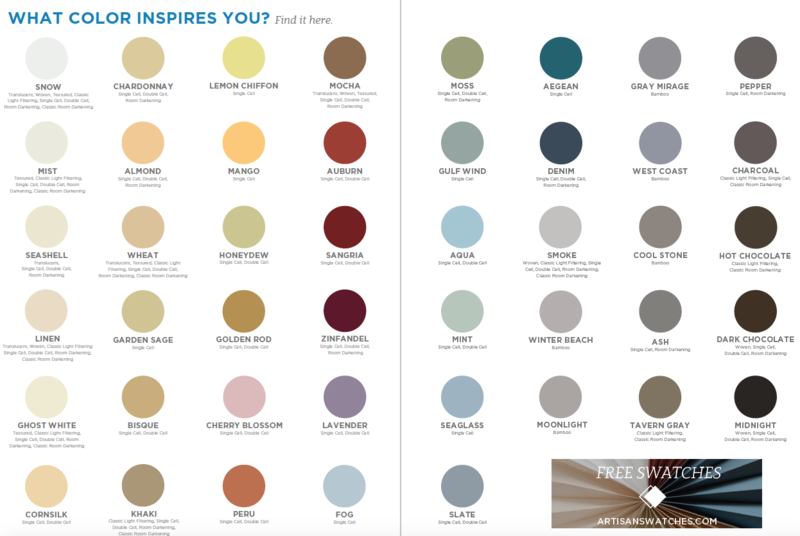 Durable and soft, with a wide pallet of trend-right colors for any décor. 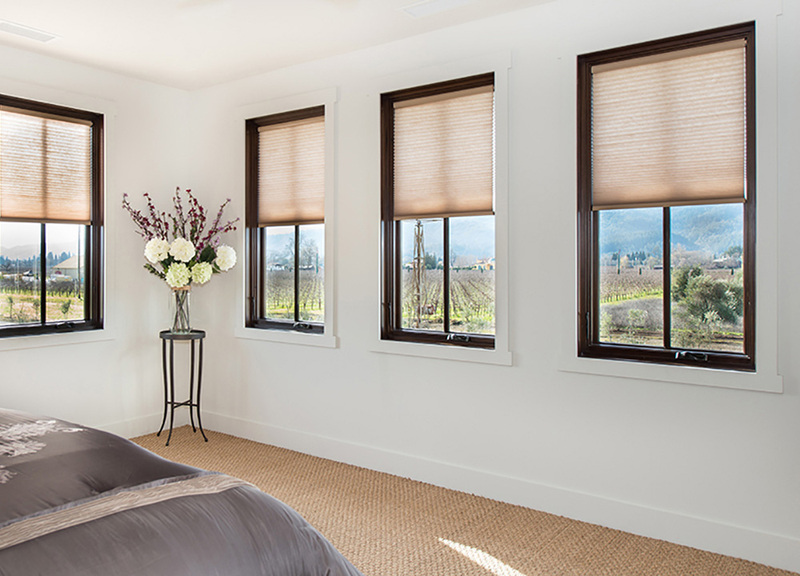 Providing moderate light control and privacy, these shades work well in any room. Part of the Single Cell family Bamboo’s spunlace fabric provides a smart look at a value price with moderate light control and privacy. Soft double cell construction in a wide range of colors. A great choice for rooms that require increased light control, privacy and energy efficiency. Maximum privacy and energy efficiency at an affordable price.